We all know today is a big day for Britain. I got up at dawn to watch the wedding because I'm cool/sad that way, and since everyone has weddings on the brain, I'm excited to participate in the Breakfast at Toast wedding week blog crawl! I decided to share some ways that I saved money on my wedding in the event that you're planning your own soiree and need some budget friendly inspiration. I love gorgeous bouquets as much as the next girl, but when you have 20 tables, 7 bridesmaids, 1 bride, and an alter to decorate that equates to lots of flowers and a 4-digit price. My solution was simple: hydrangeas. 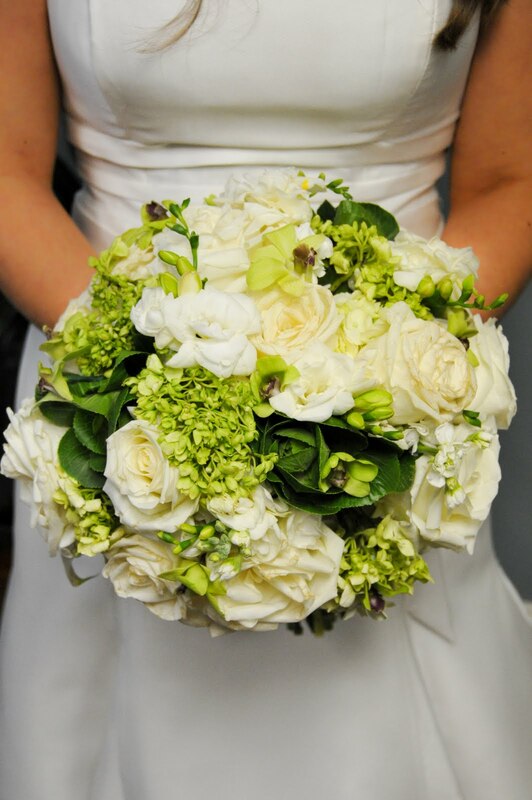 They're cheap (mine were $1.25 per stem wholesale) and elegant when combined with smaller flowers for color. Plus, you don't need many of them to make an impact. After being in lots of weddings, I can safely say that I speak for many when I say that a $60 dress that's cheap to alter is the holy grail. The chances of someone else choosing a dress that you'll want to wear again are slim, so I decided to pick a $54 black strapless dress from The Limited for my bridesmaids and have worn two of the dresses from their line in other weddings. They've got the decent but cheap market cornered and are doing it well. Overall, I think the key to saving money and not showing it is picking what you really care about and making cuts elsewhere. Plus, it leaves more money for a honeymoon! Happy weekend, ladies! 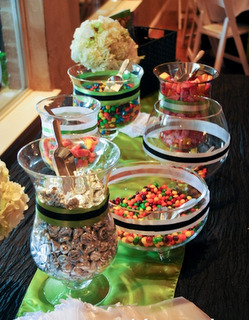 I love the candy idea--so cute! And I had no idea the Limited had such great formal wear! Looks like a beautiful event! 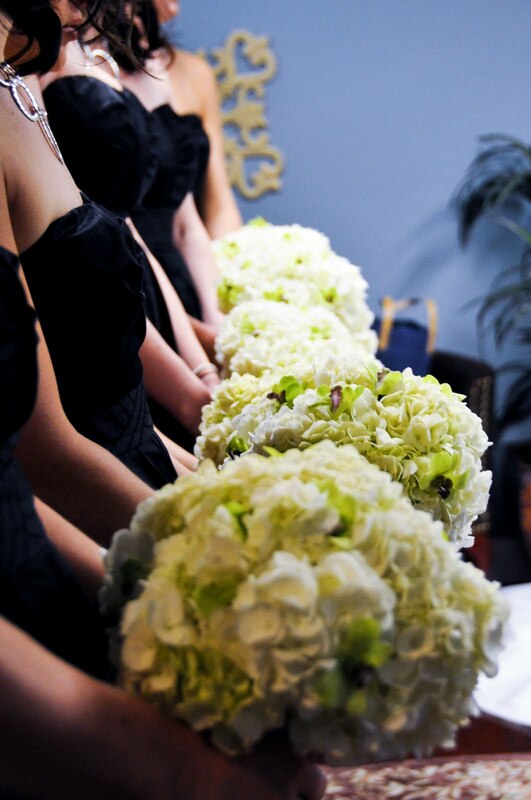 Love the hydrangeas-- who says affordable can't be gorgeous and stunning! Also, I've been stalking that one-shoulder ruched dress from the Limited. I'm on a black-dress-emargo, because I have at least ten in my closet, but I'm in love with it! Your flowers were LOVELY! Candy bar, too. So fun! Thanks for participating in my first blog crawl! candy bars are so fun!! love that idea. I love love hydrangas- your bouquets were gorgeous!!! Those are great ideas, thanks for sharing! I'm in the middle of planning my own wedding, and we are doing a candy bar too! Nice Blog! I like it. The budget of the bridal that is to be very ensure to tell it been very heavy and cheap so much as you want many When you are ready for the budgeted bridal dress shopping, make sure to look in your local papers, search online or simply ask the wedding planners for the annual sales that take place at the bridal shops. They have hugely discounted sales once every year which are held at wedding show events and hotels. Usually readymade gowns that need alterations can turn out quite expensive if you are petite or tall. But a wedding dress that is made to your specifications will have perfect fittings and not require any alterations. When you are doing your bridal dress shopping, having a custom-made wedding dress can save you money.